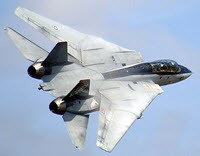 The general consensus seems to be a start date of next year, but as Webby_NZ mentioned, the first F-14 flight took place on 21st December 1970. How does that date sit with everyone? All thoughts and suggestions welcome! Nothing wrong with an (almost) Christmas start-up. I'll happily join this one, still have the excellent Hasegawa kit in the stash, and a nice set of FCM decals. 21st December is fine with me. I'd probably go 1/32 and maybe an Iranian example. Count me in. December - May. I could be a possible starter. I did after all recently acquire that 1-72 Fine Molds Delta, which I'd like to build alongside a Hasegawa and Fujimi example. First flight date to the last flight date sounds a good time frame to me as it would allow me to get the three kits done and some other more priority builds attended to. I like the idea of first flight date, and last flight date too. My record isn't great either, but as I have this sitting in the stash and it was going to be an out of the box build. I could be keen. My vote is for 6 months too. Never mind, saw Andrew's post and 9 months is better. And being after Nats and Armistice, won't have any "must finish" builds happening. I think my Phantom needs a 1/32 Tomcat to keep it company. I'm keen if I have the funds to purchase such a beast. Not sure if I'd go for Tamiya or Trumpeter. I am in - Haven't built a Tomcat for a couple of years now. That scheme is in the Hobbyboss 1:72 kit - My last F-14 build about four years ago, it's a nice and cheap kit that goes together very easily. Potentially me in 48th! Though I have only ever bought 2nd hand models, this could still be out of my budget. What kind of numbers are we talking? as in how many people?